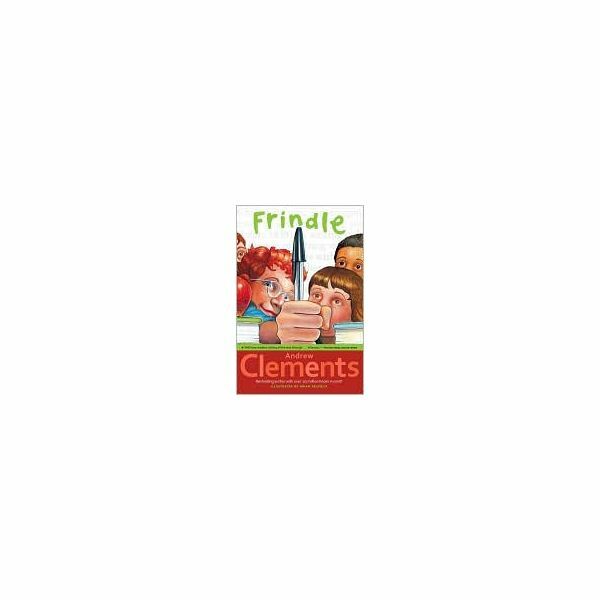 Andrew Clements writes inspiring and humorous books for middle school students and Frindle is no exception. When Nick Allen tries to distract his new Language Arts teacher, he ends up with an extra homework assignment. In the process, he decides to take what he has learned and come up with a new plan to annoy the teacher. This is a great read-aloud book. 1. Students will deliver informal descriptive presentations. 2. Peers will demonstrate active listening. 3. Students will apply knowledge of word structure. Andrew Clement’s Frindle is all about words. When a group of words are put together it may become an idiom. When Mom tells Nick, “Mind your Ps and Qs," this is an idiom. According to the Encarta World English Dictionary, an idiom is “ a fixed, distinctive and often colorful expression whose meaning cannot be understood from the combined meanings of the individual words." Ask your students what they think Nick’s mother meant. Of course, she wanted him to behave and do what he is told. The origin of this idiom is questionable but sources trace it back to the 1600’s. Use this website https://www.idiomsite.com/ to help you find enough idioms to provide one for each student in your class. Write each one on a slip of paper and put them in a container. Instruct each student to choose a slip of paper from the container. The assignment is to write a paragraph about what you think the idiom means. It is up to you whether to encourage humor in the definition. Then students should illustrate what the idiom would literally look like. For example, “It’s raining cats and dogs," would illustrate dogs and cats falling fro the sky. Mrs. Granger, the Language Arts teacher, really knew a lot about words. In reference to the commotion over Nick’s new word, she says (page 61) “All of this is a silly fad and when you add an e to fad, you get fade." She’s hoping the fad will fade away. There are many words that change just by adding an e. See if your students can guess these pairs of words with the clues you give them. Make it a team game! Can they come up with more examples? Assign a creative project to your students. The task is to “invent" a new word for a new object, animal or service. The new object can be an item that combines two existing objects. The service can be an enhancement of an existing service. The animal can be a super animal that combines two animals. On a 9" x 12" piece of tag board, each student should create an advertisement for his or her new word and product. Each student has to present the poster in front of the class and “sell" the new item. Assessment is based on creativity and presentation. The amazing thing about Andrew Clement’s Frindle is that it inspires teachers to leave an impression on students. That's what Mrs. Granger did for Nick. What better complement can a teacher get than when a former student makes contact and says that you have been an inspiration? Hopefully your students will be inspired with the Frindle lesson plans that you include with the book!